Now days, most everything that you do is online. This has actually made our lives easier for the most part. Not only can you communicate with coworkers and family much easier, but you can also find basically any information that you could possibly imagine on your computer. From shopping online to finding videos on how to do home repairs, the internet has found a way to make doing just about anything possible. With anything in life though, there are negatives that go along with all of the positives. The internet is a wonderful tool, but what about some of the risks you take while surfing the web? One of the biggest concerns you should have about being online is keeping your identity safe. Online identity theft isn’t something that should be blown off. Identity theft in general is a huge deal and could potentially ruin your chances of ever getting a home, a car, and also your reputation. 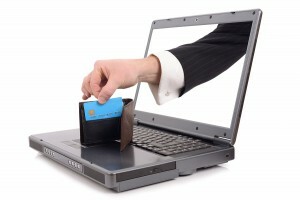 What are some steps that can be taken to avoid online identity theft? First and foremost, don’t ever go to sites that seem like they may not be real. Never put your personal information into a website that you aren’t one hundred percent sure of. Change your passwords frequently, and make passwords that are hard to figure out. Research any website that you might be accessing that you aren’t sure of. Limit online purchases whenever you can, and make sure that if you are going to purchase something online you verify the website before you put your credit card information in. Your safety is important, and you would never want to end up in a situation where you put your identity at risk. Just make sure that you think before you put any personal information online in order to protect yourself as best as you can. Interested in More Ways to Keep your Information Safe Online? Record Nations Can Help! Record Nations provides solutions to records storage and management to individuals and businesses nationwide. Our top priority is client security. We offer secure shredding and secure data backup services to make sure no one but you ever sees your information. Call us today at (866) 385-3706 or fill out the form for free quotes and more information on how you can up your security.